Gwanda is a small town found in the southern part of Zimbabwe in the province of Matabeleland-south. This is a dry area which makes it unfavourable for crop growing to be practised in these dry lands therefore, crop growing as a commercial venture is clearly out of the question. The people have to try other measures to earn a living. Luckily the town, just like most parts of Mat- South, is rich on minerals, gold in particular. This had led to a creation of mines since most of the residents are into mining. Therefore mining has resulted in illegal gold panning as some residents choose to mine illegally than to settle for low wages in mining companies such as Blanket mine, Jesi mine, Vumbachikwe mine, Collen Bawn mine to mention but a few. Illegal mining has led to increased crime rates and disease outbreaks on Gwanda. Prostitution and sexual promiscuity is the rife amongst the illegal miners as they are known to spend and live life the” fast way”. This has led to the spread of Sexually Transmitted Infections, H.I.V and AIDS. Deaths due these diseases have left behind many child-headed families. Due to financial problems faced by these types of families, many young men are entering into illegal gold panning at a very tender age to support families. Young women on the other hand are also entering prostitution in the hope of sustaining their dependent family members. 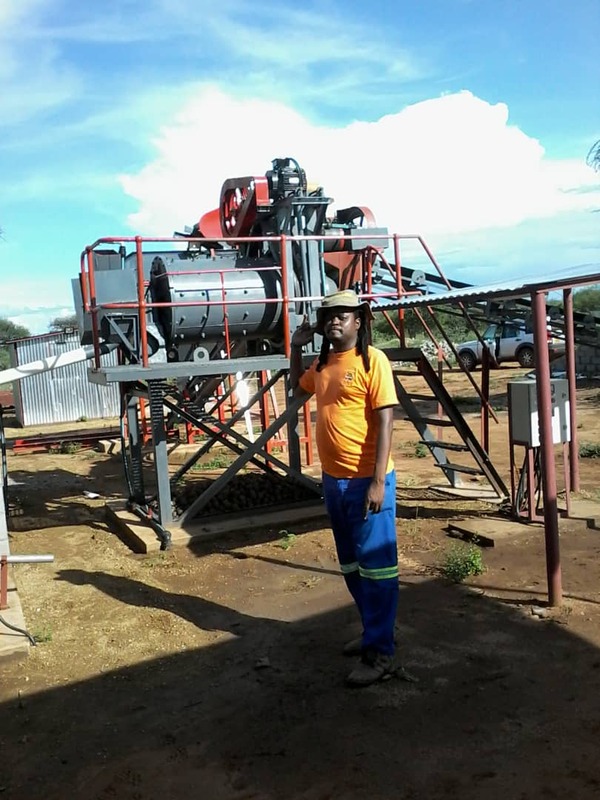 All these actions create a future of youths who no longer see the value of having good mining equipment as they are just looking for quick cash. 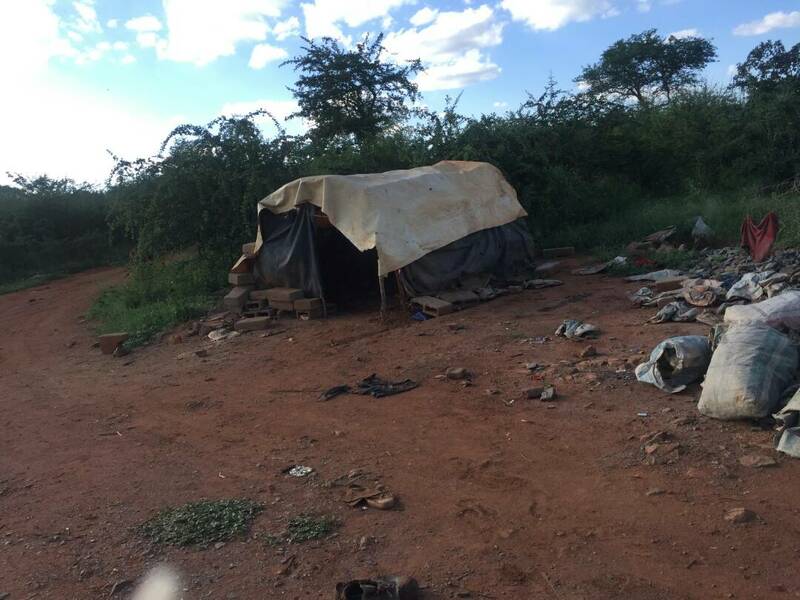 In time we are looking at a future of disastrous youths and all this emanates from the illegal mining environment in Gwanda. 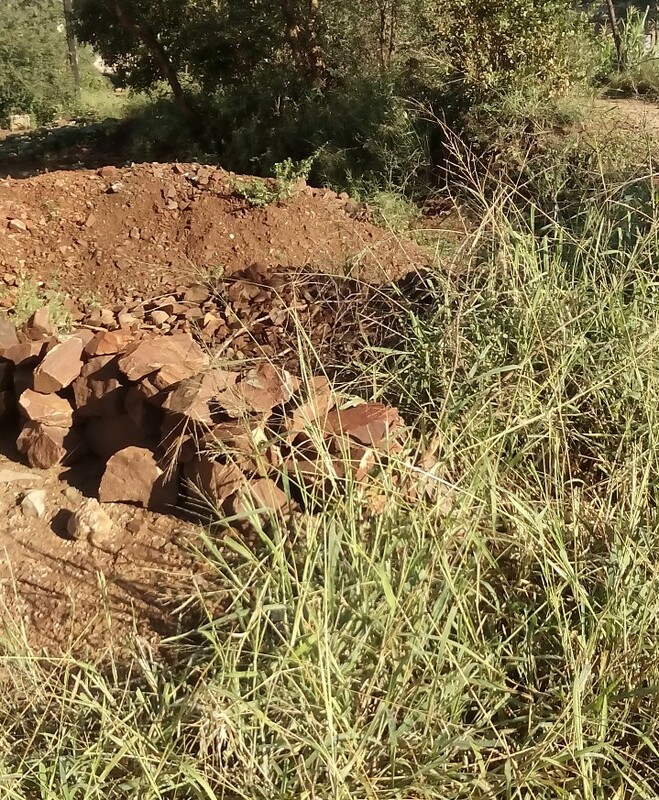 Mining, both legal and illegal, has resulted in the grave danger being posed to the environment as it pollutes the land, air and water in Gwanda. Land, water and air are essential human needs and since they are part of the natural environment they should be utilised well. However the land is polluted when the earth Is drilled and shafts sank deep into the earth. When the shaft has been exhausted of all minerals, some of these open pits are being left bare destroying the natural beauty of the landscape. Mines in the Vhovha area an imprint to this as several dumps are bare and open posing danger to animal and human movement which may fall fatally into these pits. These open pits are mostly left by the illegal miners such as “abotsheketsha” or “amakorokoza” who mine recklessly with the aim of getting quick money without care or regard to environmental conservation. Water is also polluted by illegal miners who mine along river banks. Dirt is being dragged into the water by miners making the water unsafe to drink and causing diseases. The air is polluted by dust from mining sites as well as from the methane gas which is emitted from the shafts which are drilled into the ground. This methane gas is a greenhouse gas which has the effect of reacting with atmospheric Ozone layer. When the gas reacts with the ozone layer, the layer is destroyed leading to increase in atmospheric temperatures in a process called Global warming. 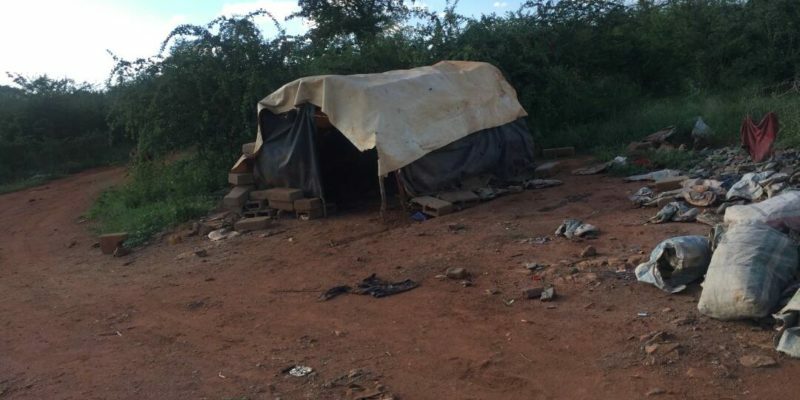 Gwanda is slowly dying as her environment perishes in the hands of merciless miners. All this points to danger, is there going to be a future left for our generation? With the rate at which mining is taking place, are we not going to over mine the earth’s resources and leave no minerals for the future generations? What sort of environment are we going to leave behind and will it be habitable for future generations of both men and animals? With this in mind we must realise the value of sustainable mining. This is a process of obtaining and utilizing the earth’s minerals with regard to the future generation as it must also get a share of what the earth has to offer. Since Gwanda is not a crop region, minerals have to be conserved for future generations as this shall also be a source of income, livelihood, education and power to them. Sustainable mining to combat the problems posed by mining to the environment in Gwanda can be done in a variety of ways, Firstly, the Ministry of mines and the ministry of environmental affairs should work hand in glove to adopt the system of environmental conservation mining approach. This can be done by amending laws and making them strict against illegal and unlicensed miners as these people damage the environment with their unprofessional ways of mining. The legislature has proposed a bill in order to decriminalise artesian mining. This is good to the people as they will earn a living without fear of the police, however this will increase mining more thus adding damage to the environment. Therefore, these bills should be drafted with the need to conserve the land and the environment before passing them into laws. Companies should get licences to mine only after they have signed a pact an environmentally friendly approach. Therefore the people have to be educated on how mining might compromise resources for our next generation. Mining should be done with precision and career given to cover pits. Finally all miners who are there are being urged to take responsibility and be extra cautious with our land as this is our first inheritance for our children.If we conserve our environment, the environment takes care of us….A sustained mining for the future is possible, it begins with each miner setting out to make a difference. Rainy season might be good to many but a bloody blow to two major mining companies Caledonia (blanket mine)and Vumbachikwe mine which are 16km from Gwanda town .These mining companies have got one road from Gwanda town which passes through one way mutshabezi bridge which is always flooded juring the rainy season . Caledonia (blanket mine) is one of the best producers of gold in the country and Vumbachikwe is one of the deepest mine in the country which automatically reflects they constitute a bigger part of the economy. What comes as a surprise to the gwanda community who are the rightfully owners of the God given gift of Gold mined by these mining giant’s is the ignorance of construction of the mtsabezi bridge which they have used for decades enjoying the Gold from Gwanda and investing profits in their countries of origin. Loss of production from stopped hours when the bridge over flow affects the country’s economy and the community expect that ploughing little profits in the construction of mtshabezi bridge from their God given gift can not be a loss to the mining giants who enjoyed gold profits for decades in Gwanda.